Vintage-inspired decorations, part of the pretty Vintage Rose range. 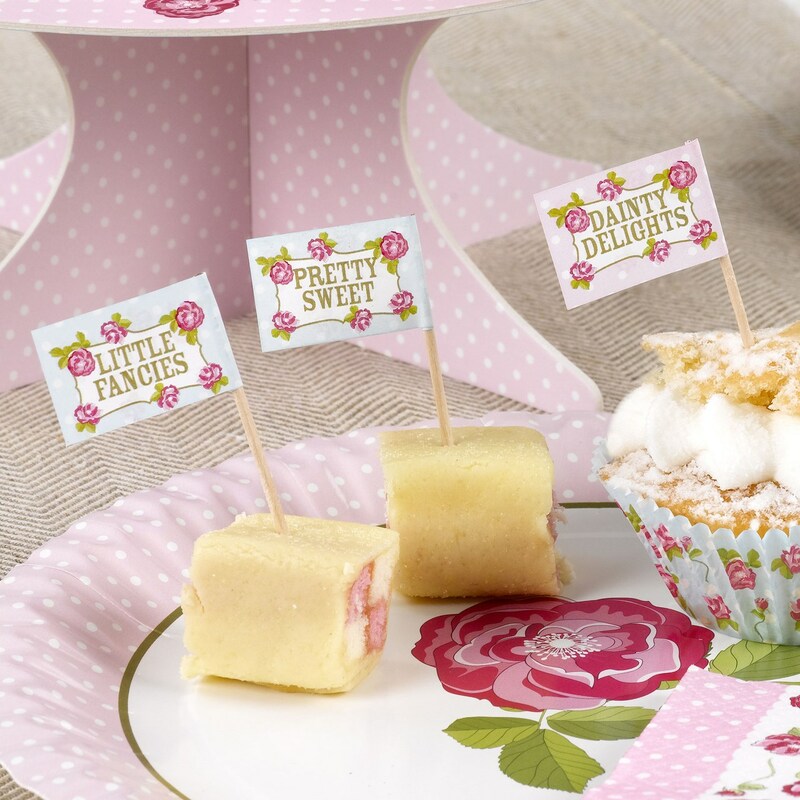 Suitable for use on both cakes, sandwiches and other mini sweet and savoury dishes, these cute flags are a great way to jazz up your party food. Each pack contains picks, decorated with a rose and polka-dot design and phrases such as ‘Little Fancies’ and ‘Dainty Delights’. Each pack contains 20 Cupcake Picks.